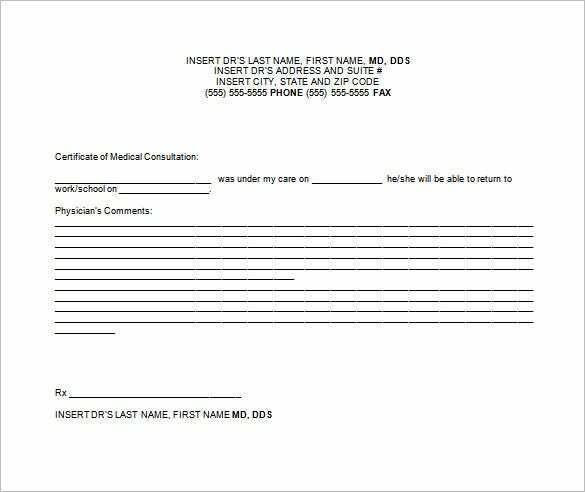 Medical Doctor Note Template – 8+ Free Sample, Example, Format Download! Doctors often have a difficult time dealing with some patience. We know that a number of patience will ask for a doctor’s note for good reasons. 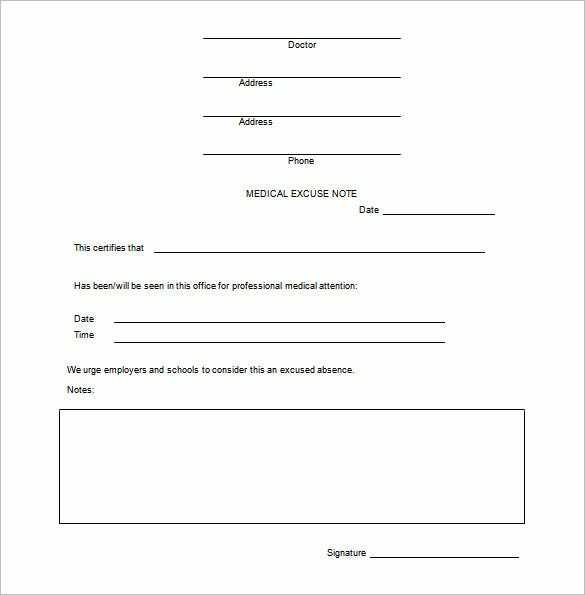 This is where Medical Doctor Note Template comes in. 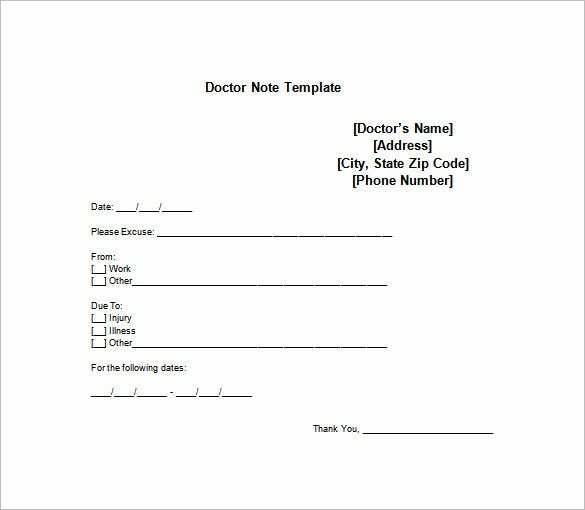 The Doctor Letter Templates word can help get the doctor note written in a flash. Other available file formats are excel and PDF files. 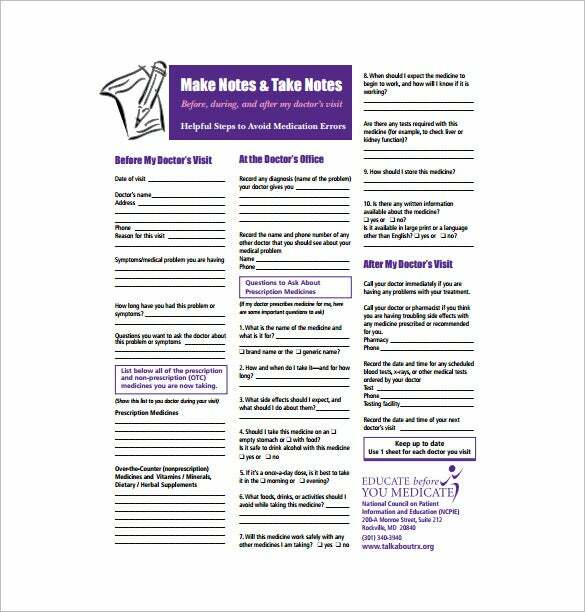 The templates are readily available for free download. 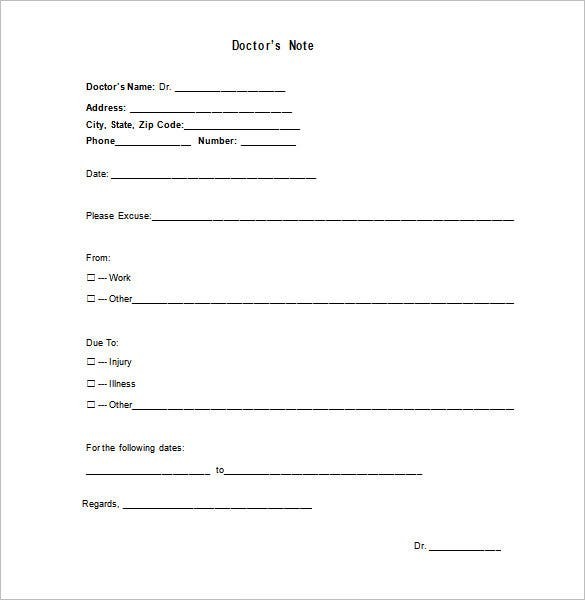 If you have to take a leave citing an appointment with doctor, this note would be helpful for you. 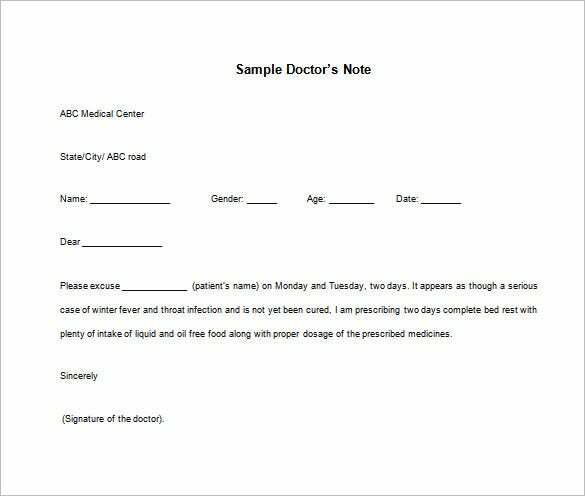 The note would be issued in the name of the doctor and it says that you need the leave for the clinical appointment. 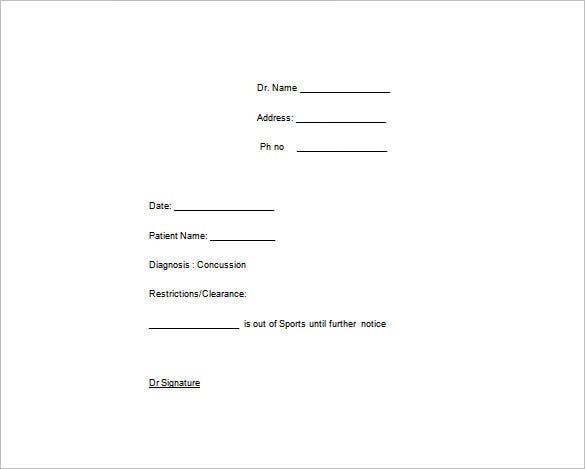 If your child has to take a day or two off from school, this note here would be able to leverage his request citing medical grounds. You are getting a readymade structure and you would simply have to tick the right boxes. The note here will help you to make a string request of leave before the school by a sizeable note on the medical condition of the student, described by the physician. 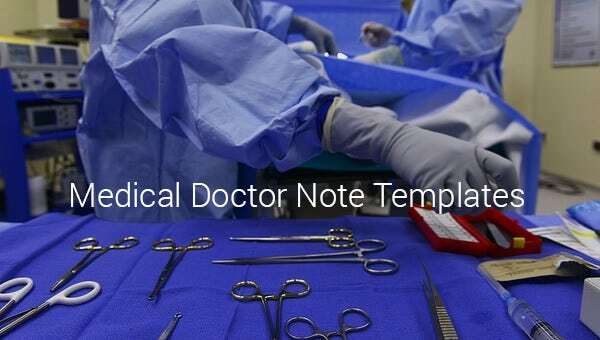 The most important aspect of the piece is surely the sizeable space for the note where the doctor will clarify or explain the typical medical situation of the patient which is forcing him to take the leave. 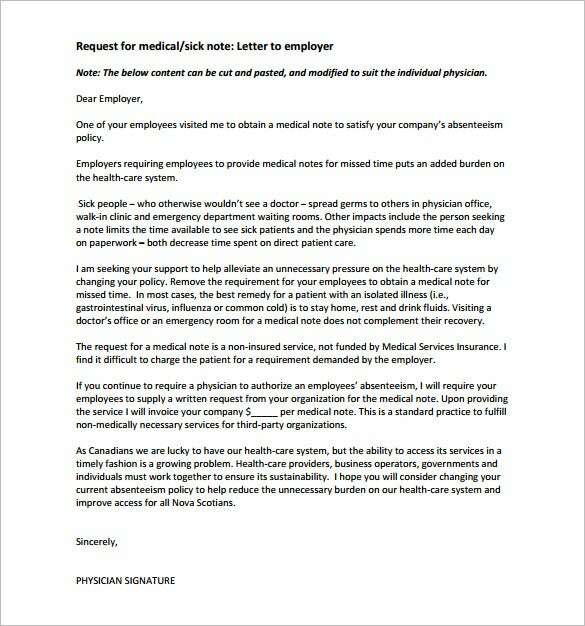 doctorsns.com | This is a detailed medical note to be issued by a doctor for an employee in need of sick leave from the office. The note states why the employee would be given leave by the office for his betterment and also for the benefit of other employees. With all the extended focus on one’s attendance, a leave in a college may often lead to harsh circumstances. 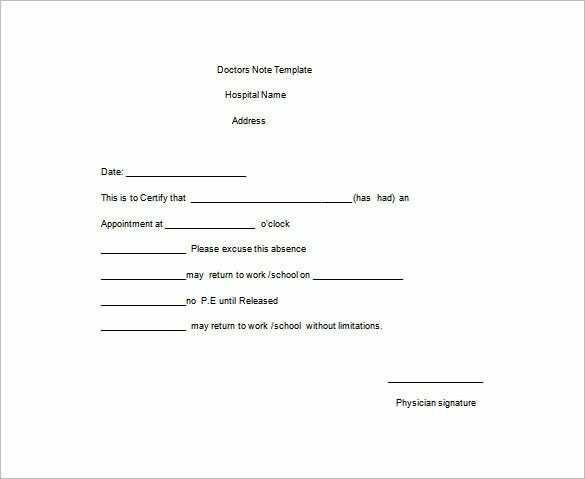 It is always thus advisable to have a Medical Doctor Note prepared in the right format as shown in our extremely well crafted templates all brought to you in easy to download word format.